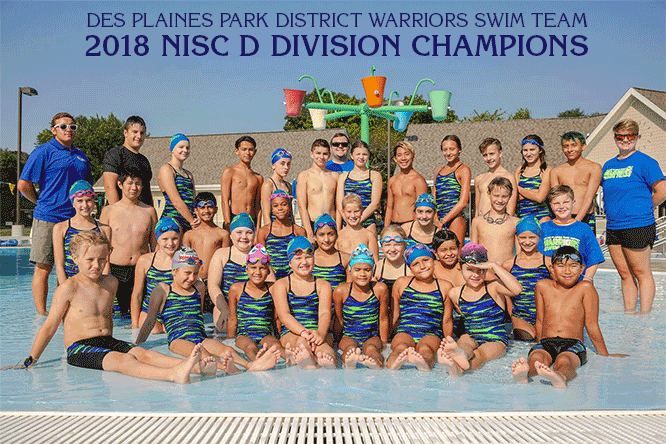 On your mark… Get set…Take your place on the Conference-Winning Warriors Swim Team! The Warriors are the 2018 NISC Division D Champions, and we’re aiming for more in 2019. This semi-competitive swimming program puts emphasis on learning competition skills, enjoying the sport, and promoting a lifelong participation in swimming. Our team allows for those with little or no team experience to learn the strokes of competitive swimming. The program builds skill and endurance during daily practice sessions held at Chippewa Pool. A detailed schedule of practice and meets will be available at the Parent/Swimmer Information Night on Wednesday, May 29, 7:00pm at the Leisure Center. R: $150/NR: $200 #167102-1 Sign up now!